John Boehner had a plan to address the border crisis: The House would pass an extremely right-wing bill, then it would leave town and blame the Senate for failing to pass its bill. This is Boehner’s plan for addressing every crisis, basically. But then the thing that always happens to Boehner’s plans happened again today. Ted Cruz met with the core group of House Republicans who vote against every bill and explained to them that since this is a bill, they should vote against it. Then Boehner had no idea whether his bill could pass. Then he went to the House floor. Then he pulled it. Reportedly, Republicans weren’t even close to having enough votes to pass it. The House is a highly autocratic chamber that traditionally passes basically anything the leadership of its majority party wants to pass. The Tea Party has changed all that, by bringing to Washington a large enough bloc of Republicans who don’t want to vote for anything that they can bring down even bills that are far too conservative to be passed into law. That’s why House Republicans have had to pull bills to lift the debt ceiling, extend tax cuts, extend farm subsidies, and reopen the government. 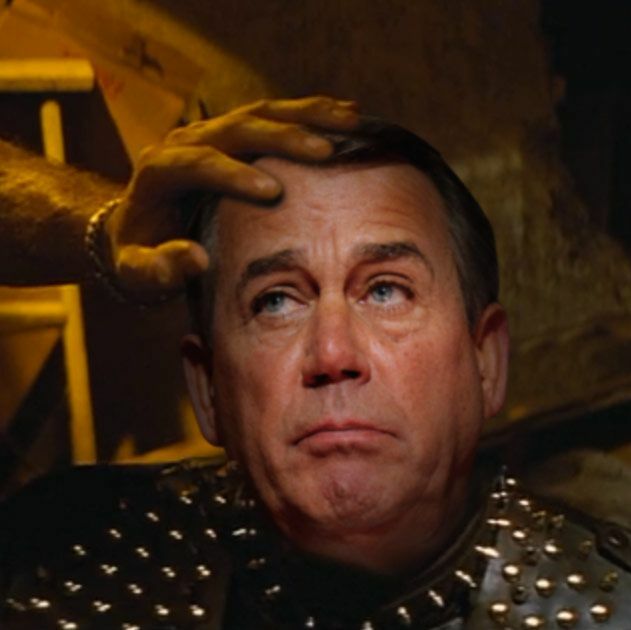 In Boehner’s House, failure is always an option. This particular bill pitted the GOP’s desire to actually stop waves of illegal immigration children from streaming across the border – theoretically a point of bipartisan agreement – against their distrust of Obama in particular and legislation in general. Republicans dealt with the problem, as they often do, by crafting the most conservative possible bill – thus losing all Democratic support – yet still not conservative enough to win support from enough Republicans. The best part of this message is its demand that Obama act “without the need for congressional action.” After they just decided to sue him for doing exactly that!